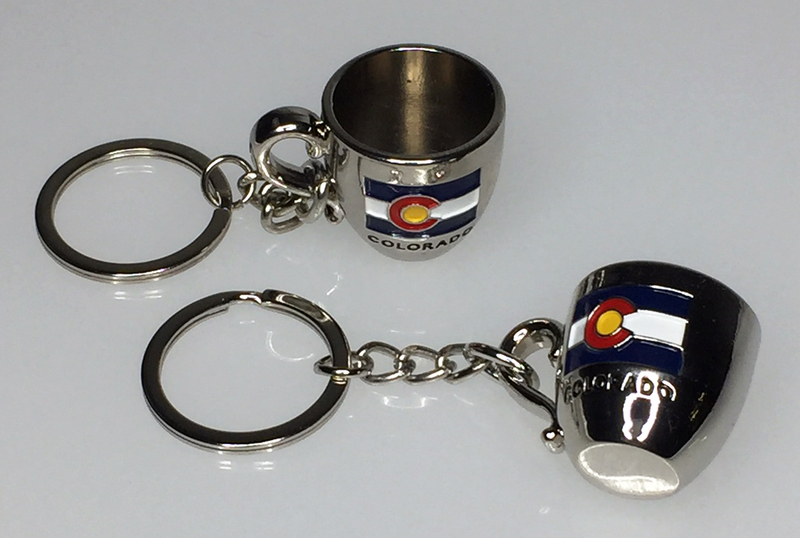 Our COFFEE CUP Key Tag is only available on a "DIRECT FROM CHINA BASIS". These measure about 1" by 1" and are attached to a 1" link chain and a 1 1/8" flat split ring. These are made from zinc alloy, are nickel plated and logos are filled with soft enamel.